Unlike mechanical rodding (or roto-routering) that just cuts a hole in the blockage our hydro-jet machine can open your sewer lines and get things flowing again. There is no better way to get your pipes draining as well as the day they were installed, short of replacing them completely. 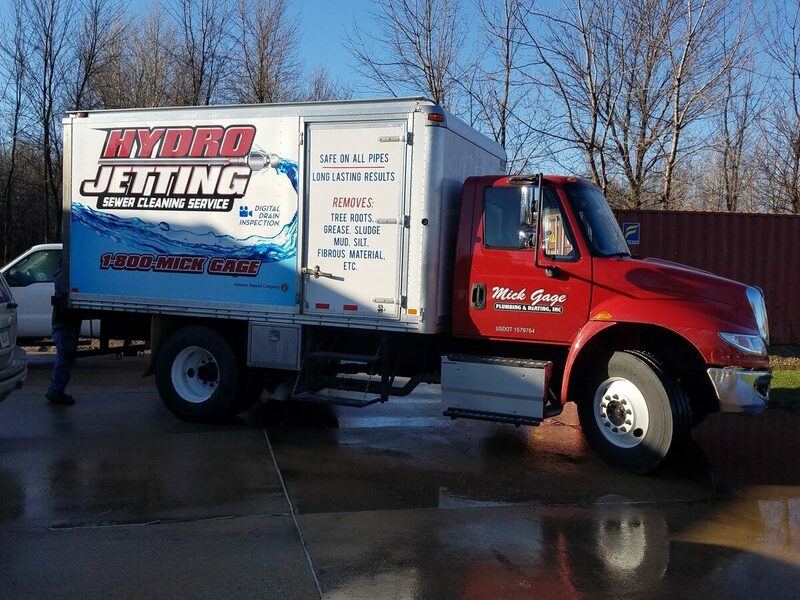 Hydro-jetting is a process that uses high speed / high pressure water to clear blockages in pipe systems and is typically the first approach to clearing blocked lines. Barring the possibility of a collapsed line, hydro-jetting will solve the problem and thereafter routine maintenance will keep the lines free and functioning properly. Maintenance of this sort will go a long way toward minimizing eventual blockages that could result in a line breakage requiring more drastic and expensive remediation. Our drain line video inspection systems allow us to inspect the internal workings of a pipe line to find and assess any existing problems. 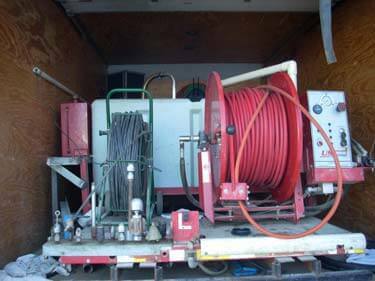 Our hydrojet team will first clean the line and then use the video inspection system to review your sewer lines. Over time, accumulations build up on the inside of pipes much in the same way that years of poor diet will cause buildup in arteries. Grease, sand, scale, silt and any number of other sediments are the culprits in most cases. Mick Gage Plumbing and Heating's Hydro-Jetting systems has a heavy-duty power nozzle attached to high-pressure. Operating at approximately 4000 psi, the hydro-jetting process will destroy even the most stubborn line blockages and efficiently scour the entire pipe. This process should be a regular maintenance consideration for businesses such as restaurants and food processing who are subject to unusual grease and oil by-product accumulations as a matter of course. The hydro-jetting machine also is very effective at cutting roots that accumulate in sewer lines in the midwest. 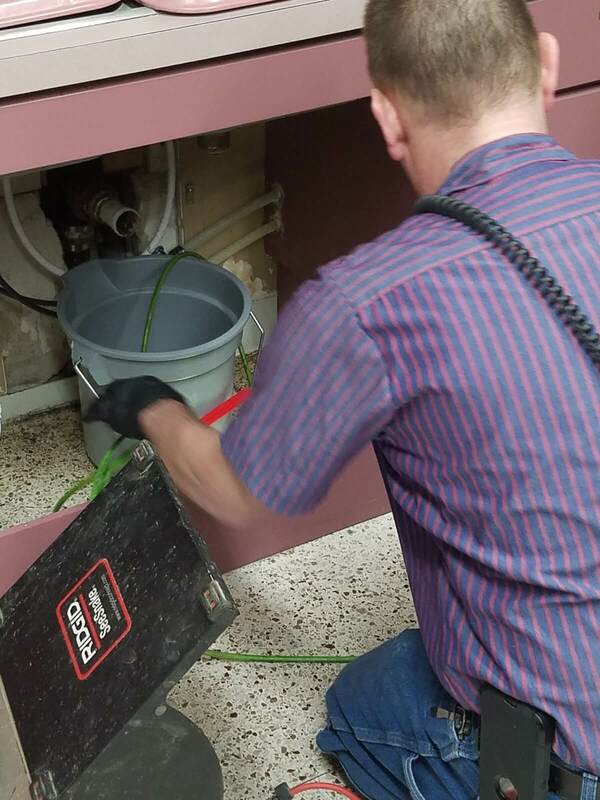 Roots are very effective at blocking sewer service. Call either of our locations to schedule service.